The New York Times columnist once worshipped at the altar of American “greatness,” too. Apart from being a police officer, firefighter, or soldier engaged in one of this nation’s endless wars, writing a column for a major American newspaper has got to be one of the toughest and most unforgiving jobs there is. The pay may be decent (at least if your gig is with one of the major papers in New York or Washington), but the pressures to perform on cue are undoubtedly relentless. Anyone who has ever tried cramming a coherent and ostensibly insightful argument into a mere 750 words knows what I’m talking about. Writing op-eds does not perhaps qualify as high art. Yet, like tying flies or knitting sweaters, it requires no small amount of skill. Performing the trick week in and week out without too obviously recycling the same ideas over and over again—or at least while disguising repetitions and concealing inconsistencies—requires notable gifts. David Brooks of The New York Times is a gifted columnist. Among contemporary journalists, he is our Walter Lippmann, the closest thing we have to an establishment-approved public intellectual. As was the case with Lippmann, Brooks works hard to suppress the temptation to rant. He shuns raw partisanship. In his frequent radio and television appearances, he speaks in measured tones. Dry humor and ironic references abound. And like Lippmann, when circumstances change, he makes at least a show of adjusting his views accordingly. For all that, Brooks remains an ideologue. In his columns, and even more so in his weekly appearances on NPR and PBS, he plays the role of the thoughtful, non-screaming conservative, his very presence affirming the ideological balance that, until November 8 of last year, was a prized hallmark of “respectable” journalism. Just as that balance always involved considerable posturing, so, too, with the ostensible conservatism of David Brooks: It’s an act. In terms of confessional fealty, his true allegiance is not to conservatism as such but to the church of America the Redeemer. This is a virtual congregation, albeit one possessing many of the attributes of a more traditional religion. The church has its own Holy Scripture, authenticated on July 4, 1776, at a gathering of 56 prophets. And it has its own saints, prominent among them the Good Thomas Jefferson, chief author of the sacred text (not the Bad Thomas Jefferson who owned and impregnated slaves); Abraham Lincoln, who freed said slaves and thereby suffered martyrdom (on Good Friday, no less); and, of course, the duly canonized figures most credited with saving the world itself from evil: Winston Churchill and Franklin Roosevelt, their status akin to that of saints Peter and Paul in Christianity. The Church of America the Redeemer even has its own Jerusalem, located on the banks of the Potomac, and its own hierarchy, its members situated nearby in high temples of varying architectural distinction. This ecumenical enterprise does not prize theological rigor. When it comes to “shalt”s and “shalt not”s, it tends to be flexible, if not altogether squishy. It demands of the faithful just one thing: a fervent belief in America’s mission to remake the world in its own image. Although in times of crisis Brooks has occasionally gone a bit wobbly, he remains at heart a true believer. The theory of history depicted in this mural gave America impressive historical roots, a spiritual connection to the centuries. And it assigned a specific historic role to America as the latest successor to Jerusalem, Athens, and Rome. In the procession of civilization, certain nations rise up to make extraordinary contributions…. At the dawn of the 20th century, America was to take its turn at global supremacy. It was America’s task to take the grandeur of past civilizations, modernize it, and democratize it. This common destiny would unify diverse Americans and give them a great national purpose. This February, 20 years later, in a column with an identical title, but this time appearing in the pages of his present employer, The New York Times, Brooks revisited this theme. Again, he began with a paean to the Library of Congress and its spectacular dome with its series of “monumental figures” that placed America “at the vanguard of the great human march of progress.” For Brooks, those 12 allegorical figures convey a profound truth. What exactly happened between 1997 and 2017, you might ask? What occurred during that “moment of world supremacy” to reduce the United States from a nation summoned to redeem humankind to one hunkered down in fear? An America that no longer believes in itself—that’s the problem. In effect, Brooks revises Norma Desmond’s famous complaint about the movies, now repurposed to diagnose an ailing nation: It’s the politics that got small. Nowhere does he consider the possibility that his formula for “national greatness” just might be so much hooey. Between 1997 and 2017, after all, egged on by people like David Brooks, Americans took a stab at “greatness,” with the execrable Donald Trump now numbering among the eventual results. A great phrase, that. Yet much like, say, the “tragedy of Vietnam” or the “crisis of Watergate,” it conceals more than it reveals. Here, in short, is a succinct historical reference that cries out for further explanation. It bursts at the seams with implications demanding to be unpacked, weighed, and scrutinized. Brooks shrugs off Iraq as a minor embarrassment, the equivalent of having shown up at a dinner party wearing the wrong clothes. Perhaps space constraints did not permit Brooks in his recent column to spell out the “humiliations” that resulted and that even today continue to accumulate. Here in any event is a brief inventory of what that euphemism conceals: thousands of Americans needlessly killed; tens of thousands grievously wounded in body or spirit; trillions of dollars wasted; millions of Iraqis dead, injured, or displaced; this nation’s moral standing compromised by its resort to torture, kidnapping, assassination, and other perversions; a region thrown into chaos and threatened by radical terrorist entities like the Islamic State that US military actions helped foster. And now, if only as an oblique second-order bonus, we have Donald Trump’s elevation to the presidency to boot. In refusing to reckon with the results of the war he once so ardently endorsed, Brooks is hardly alone. Members of the church of America the Redeemer, Democrats and Republicans alike, are demonstrably incapable of rendering an honest accounting of what their missionary efforts have yielded. 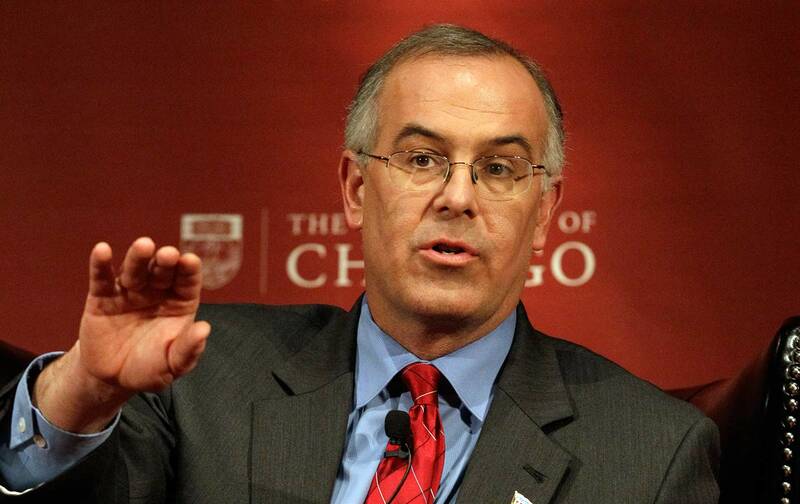 Brooks belongs, or once did, to the church’s neoconservative branch. But liberals such as Bill Clinton, along with his secretary of state Madeleine Albright, were congregants in good standing, as were Barack Obama and his secretary of state Hillary Clinton. So, too, are putative conservatives like Senators John McCain, Ted Cruz, and Marco Rubio, all of them subscribing to the belief in the singularity and indispensability of the United States as the chief engine of history, now and forever. Yet it is the war’s proponents who, in the intervening years, have choked on admitting that they were wrong. Or when making such an admission, as did both John Kerry and Hillary Clinton while running for president, they write it off as an aberration, a momentary lapse in judgment of no particular significance, like having guessed wrong on a TV quiz show. Rather than requiring acts of contrition, the church of America the Redeemer has long promulgated a doctrine of self-forgiveness, freely available to all adherents all the time. “You think our country’s so innocent?” the nation’s 45th president recently barked at a TV host who had the temerity to ask how he could have kind words for the likes of Russian President Vladimir Putin. Observers professed shock that a sitting president would openly question American innocence. In fact, Trump’s response and the kerfuffle that ensued both missed the point. No serious person believes that the United States is “innocent.” Worshipers in the church of America the Redeemer do firmly believe, however, that America’s transgressions, unlike those of other countries, don’t count against it. Once committed, such sins are simply to be set aside and then expunged, a process that allows American politicians and pundits to condemn a “killer” like Putin with a perfectly clear conscience while demanding that Donald Trump do the same. What the Russian president has done in Crimea, Ukraine, and Syria qualifies as criminal. What American presidents have done in Iraq, Afghanistan, and Libya qualifies as incidental and, above all, beside the point. Rather than confronting the havoc and bloodshed to which the United States has contributed, those who worship in the church of America the Redeemer keep their eyes fixed on the far horizon and the work still to be done in aligning the world with American expectations. At least they would, were it not for the arrival at center stage of a manifestly false prophet who, in promising to “make America great again,” inverts all that “national greatness” is meant to signify. For Brooks and his fellow believers, the call to “greatness” emanates from faraway precincts—in the Middle East, East Asia, and Eastern Europe. For Trump, the key to “greatness” lies in keeping faraway places and the people who live there as faraway as possible. Brooks et al. see a world that needs saving and believe that it’s America’s calling to do just that. In Trump’s view, saving others is not a peculiarly American responsibility. Events beyond our borders matter only to the extent that they affect America’s well-being. Trump worships in the church of America First, or at least pretends to do so in order to impress his followers. That Donald Trump inhabits a universe of his own devising, constructed of carefully arranged alt-facts, is no doubt the case. Yet, in truth, much the same can be said of David Brooks and others sharing his view of a country providentially charged to serve as the “successor to Jerusalem, Athens, and Rome.” In fact, this conception of America’s purpose expresses not the intent of providence, which is inherently ambiguous, but their own arrogance and conceit. Out of that conceit comes much mischief. And in the wake of mischief come charlatans like Donald Trump.